Failures don’t kill a startup. Mediocrity does. 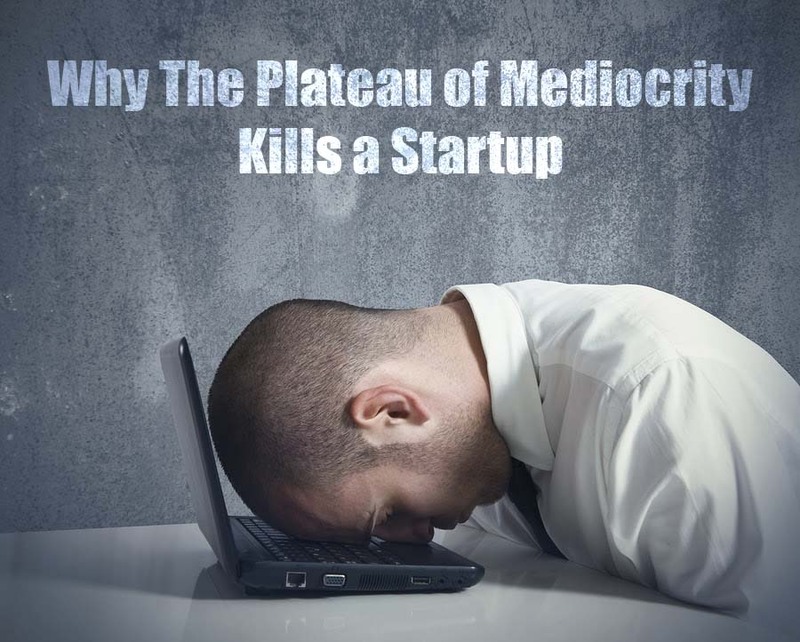 In this era of startup boom, majority of the startups have been entangled in the web of mediocrity. They neither fail, nor do they grow beyond a certain level. While failure delivers a definitive result and success is a state which lacks any definition, growth is the only positive option that remains. For a startup to remain active, one either needs a slanted growth wave or a sine wave with its fair share of ups and downs. It’s the plateau’d wave that kills the lot. Pinstripe Suits, a Merc in the porch and month long vacations in the Caribbean. It’s almost certain that every single person who has stepped into Entrepreneurship might have atleast once thought of living such a life. And though many do reach that prospect, it’s not overnight success. It takes a brave person to start a venture on his own and an even braver person to keep it going. Sleepless nights, tight deadlines, living off on caffeine and adopting stress as your middle name; all happen to a startup entrepreneur at one point of time or the other. Finance is hard to come by and each penny knows its worth the way it rolls. Addressing a gathering about Entrepreneurship has always been a touchy point for me. Neither am I a successful entrepreneur (yet), nor a very experienced one. Still, whenever am invited by the student community to take a session on Entrepreneurship, I am always glad to share my bit of experience, my failures, my mistakes. Because as far as I have learned, you only get inspired from winning stories. You need failures to learn stuff. I was recently invited to KMEA College of Engineering to take a session on Women Entrepreneurship as part of their IEEE WIE activity inauguration. I gave the topic a good thought and actually decided to let go of the “women” portion. No bias to anyone meant. But if you ask me, men, women, dolphins, aliens…. no matter who gets into entrepreneurship, the issues and hardships faced are the same. I’d say Mothers are the best entrepreneurs. They multitask things perfectly like all entrepreneurs do and take the biggest of calculated risks – bringing up a child! So, women finding it more difficult to be entrepreneurs, I don’t agree to that statement. Following is my presentation from the hour long session I took at the college – on myths and facts of entrepreneurship. I really hope I did justice. 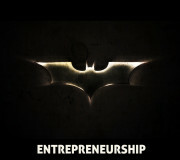 Entrepreneurs are born. Not made – totally disagree. Its all attitude and hard work. Not just inborn talent. College dropouts make better entrepreneurs – not always. Though it has to be agreed that college dropouts give it their all as they have nothing to go back to if they fail. Idea + Prototype = Start a Company – you need market analysis, building a great team, marketing and a million other factors. 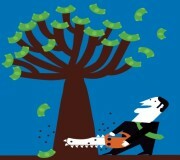 Its easy money – never is! I need to be a techie – not all entrepreneurs are techies. Identify if you’re a techie (who does the work), manager (who can get the work done) or entrepreneur (who has the vision to build the product/service into something scalable). I must invent something new – was Google the first search engine? Was Facebook the first Social Network? It’s all about doing the thing right, keeping in mind the users. Entrepreneurs are gamblers – they are risk takers, yes. But only calculated risks, not blind ones. You are your own boss – nope. You’re actually at the bottom of the food chain. Clients, Customers, Vendors, Landlord, even the freaking Income Tax department is your boss! My best friend is my co-founder – never mix friendship and business. You’ll be screwed. And at times, screwed Big Time. CXO posts don’t matter a S#!t. You’ll be the freaking delivery boy! 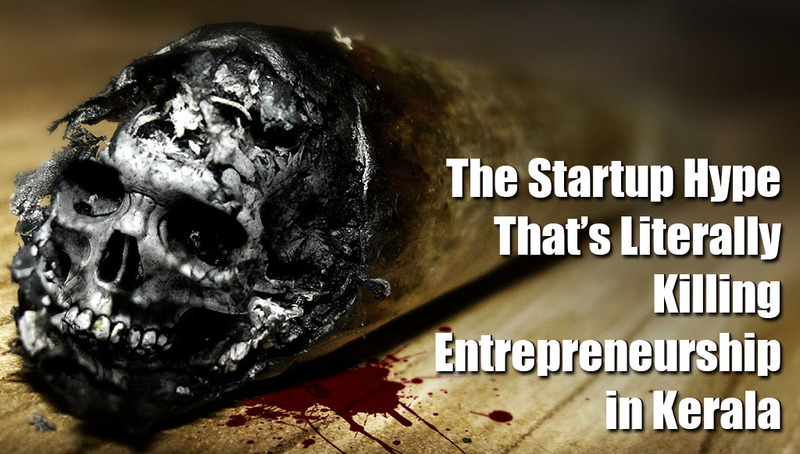 And, the focal point of entrepreneurship – Only YOU are responsible. Whether you succeed or you fail. Only you are responsible. I don’t usually go into writing personal stuff on this blog of mine. Intend to restrict it to Social Media, Entrepreneurship and anything else pretty noteworthy, other than the politics induced nonsense going around. Thought of breaking that rule for a change. Being an entrepreneur, and obviously not the best one yet at that, has its own plethora of experiences. Making loads of mistakes, going broke, trying to make ends meet, saving every penny possible, trying to steer the company in the right direction…. the list goes on. Amongst all these, there are the little things which give you immense joy. Need not be a million dollar deal. Sometimes it’s as simple as a thank you gift or job well done from the client. Similarly is the case when you see your staff and team-mates going up the career ladder and/or reaching a milestone. 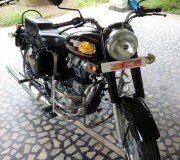 My Design Head at IZE Creative and one of our first employee, Rithin, recently bought a Royal Enfield Bullet 350. Now, people buying bikes is good. 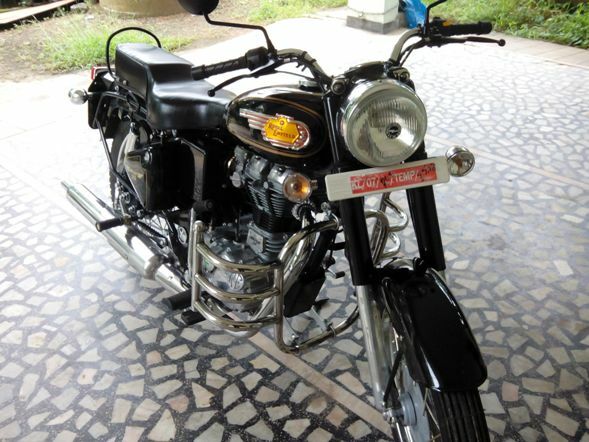 But when your staff buys a bike with his savings, coupled with the salary you’re paying him…. those are the little things which give you immense happiness. Those instances make you feel worthy. Worthy of being an entrepreneur. I wouldn’t be lying if I say I was happier than him the day that Bullet rode into our office porch. The source of his smile became the source of my joy. And that made me realize. Maybe that’s what entrepreneurship is all about. It’s the whole journey, the little joys. Not just in your life, but also in the lives you touch. Forget being broke. Forget not being able to buy a 39k iPhone. Forget not being the richest person in the world. Building something on your own is not just about the end product. It’s a whole lot about the experience. The experience of being able to think different. You may fail, you may succeed. But you never stop trying. These little things instill in me an inspiration. An inspiration, to inspire and get inspired. And in the end, as long as such little things happen, I don’t think I’ll need to look for inspiration elsewhere. It’ll be there right inside me.